Of course, it’s a must to start with a great bag. 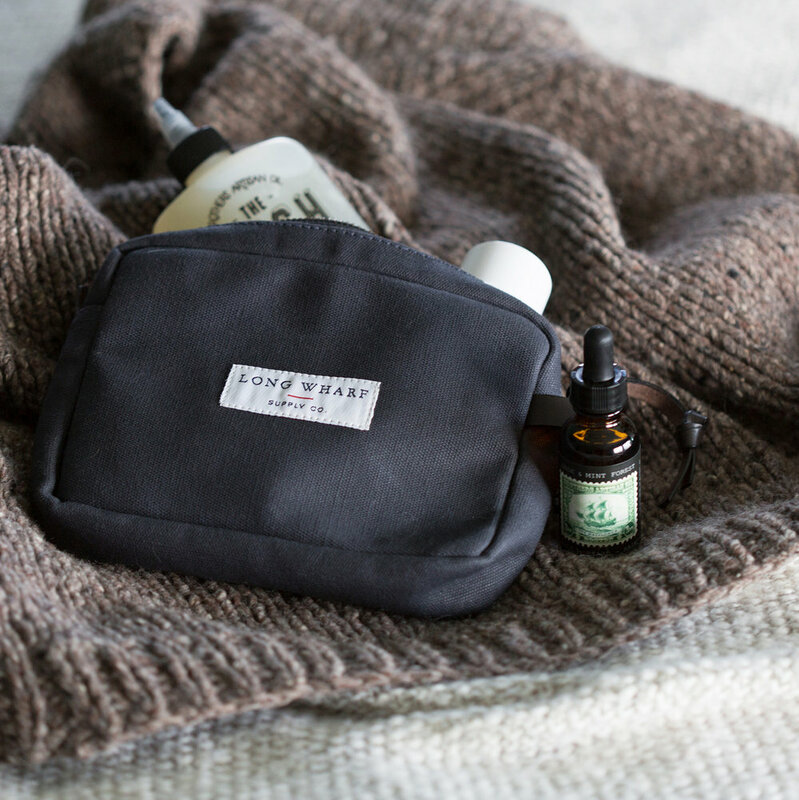 We love the Nantucket Travel Kit from Long Wharf Supply Co. It’s small enough to fit into just about any weekend bag, but spacious enough for all of your needs. The bag includes an inner leather-lined zipper pocket for more fragile items, and a leather pull string for a stylish finish. Order at: longwharfsupply.com. We’re big fans of the products from Brothers Artisan Oil, which includes grooming oils, stick deodorant, and their wash. The company makes truly natural products for the both body and home that are both stylish and good for you. Visit brothersartisanoil.com to learn more.